NITCO is the only premium tile brand in India. That is why we are known as trend setters within the industry. This is because, since our inception in 1953, we have remained loyal to our Core values of “innovation, product quality and customer service”. Our Product Portfolio - Floor Tiles - Ceramic Tiles , Vitrified Tiles – Soluble Salt , Ultra/Double charged, Gres Porcelain Tiles (Naturoc), HD Digital Tiles Wall Tiles - HD Digital Tiles – Base tiles and highlighters Marble - Natural Marble, Engineered Marble Mosaic - Signature Collection, Magnum Opus Collection, Décor collection , Solitaire collection , Creust Collection, Frame collection, Steps Risers & Skirtings. The Bharat Floorings Group is the leader in quality cement floorings - a reputation held for over 90 years. In 1922 Bharat pioneered the cement tiles industry in India as part of the Swadeshi movement as a contribution to India’s economic independence by producing tiles of international quality to replace imports. The best European technologies were brought and modified to create a unique product suited to Indian conditions. Recognising that a good floor is only achieved with a good product that is installed correctly and maintained properly, the company has sister companies which do high quality installation of all types of floorings, a range of civil work, floor maintenance and general cleaning. Over the decades Bharat has laid some of the best-known floors in India’s landmark buildings: from palaces of Maharajas and Raj Bhavans to prominent residences, hotels, hospitals, clubs, offices, factories, co-operative housing societies, educational and religious institutions, airports, railways etc. Well established in Mumbai metropolitan, Dimension brings to you handpicked designs of wide range of Ceramic. We deal in brands that meet global standards and provide range that meets expectations of every esteem client. Our worthy experience assist us in understanding every Architect's requirement and we ensure to provide our services with utmost professionalism. Be it your dream home or endearing workspace, our team aims to deliver every consignment with utmost responsibility, small or big job irrespective of it. We are evolving with changing consumer needs and regularly upgrading our selective collection from different parts of the World. The basic amenities has transformed into luxurious personal space and we look forward to provide premium designs at valued prices. With sheer gratitude, we thank every client for giving us the opportunity to serve them and associated Architects for trusting in us. We look forward to work with you and help you create your Dream space with our expertise. STAR ASSOCIATES is a premium tile importing company. 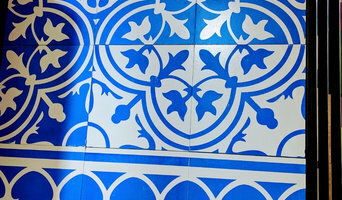 We directly import tiles from European countries ( Italy, Spain, Turkey ). We have an experience center at Andheri, Mumbai to showcase our world class products. We have the pleasure of introducing our company Magnum Marble Ltd. an emerging entity in the field of marble. We are involved in trading and stocking of high quality imported marble mainly from Italy. Our company is promoted by a team of entrepreneurs who have years of experience in handling marble in various projects in the past. Located at Lalbaug, Mumbai, we have approx. 100,000 sq ft of stock in different varieties and sizes with more varieties always in the pipeline. Some of the marble varieties in which we deal are Botticino, Statuario, Breccia, Travertino, Diano, Ombra Caravaggio etc. TTI World Trade Agency Pvt. Ltd.
TTI World Trade Agency Pvt. Ltd. is a manufacturer, exporter and global marketers of Engineered Quartz, Large Format Porcelain Tiles and Other Ceramic Surfaces. Our Product line includes : 1. Engineered Quartz 2. 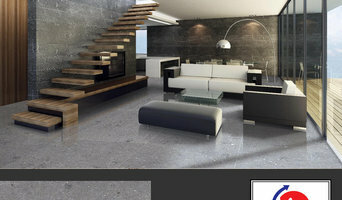 Large Format Porcelain Tiles 3. Decorative Products We have our highest quality finishes with endless design options. The art of selling semiprecious stones in marble is known as “Parchin Kari” was first introduced in India in the 17th century by the Mughal emperor Shah Jahan. For centuries this traditional art has been handed down from one generation to another craftsman, who gave the world the magnificent "Taj Mahal". Shahid Ahmad Inlay, has continued this great tradition with the same passion and flair since the last 10 years . The company is a consortium of highly skilled master craftsmen who create wonderful objects of marble inlay renowned for their unrivaled aesthetic beauty and workmanship. What does a tile, stone, and countertop professional in Mumbai do? Any professional involved with countertops, stone or tile work during the construction or renovation is a tiling professional. Most Mumbai tile experts have a comprehensive understanding of which surfaces will work best in various locations within the home. Tilers and Mumbai tile manufacturers will have a great range of tile designs, sizes and materials to choose from and will help you to pick the best tile based on your tastes and requirements. Also, ensure you hire a tiler to lay the tiles out neatly and evenly. Don’t forget Mumbai tile professionals can also install murals and mosaics, as well as add decorative edge treatments around the house. Why should I hire a professional a tiler or installer in Mumbai? Perfectly laid tiles and countertops can look simple and seamless once finished, but installing them is far harder than it looks. 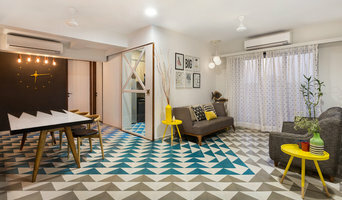 It really pays off to consult a Mumbai tile shop or hire a professional tiler in Mumbai as they will have the experience and expertise to finish the job efficiently, quickly and to a high quality. Tilers or the tile showroom will also repair or replace surfaces in the event of chips, cracks, stains or other damage. Many tile, stone, and countertop professionals in Mumbai also install shower pans, flooring systems and other common components of surfacing jobs. 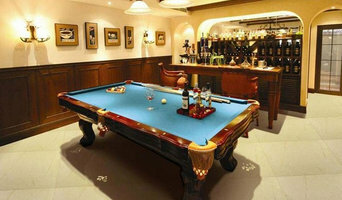 Narrow your search in the Find Pros section of the website to tile, stone and countertops in Mumbai. You can also look through photos to find tile, stone and countertop projects you like, then contact the contractor who worked on it.